My brother's birthday is coming up, and the current Simon Says Get Krafty Challenge was a perfect fit for creating a masculine card. I had lots of fun creating this card! I bought that mustache stamp at Paper Source in Denver months ago, and it's been sitting (neglected) in my "stache" since then. So happy to finally ink it up (so much so in fact that I made another card with it too---I'll share that one on Thursday). 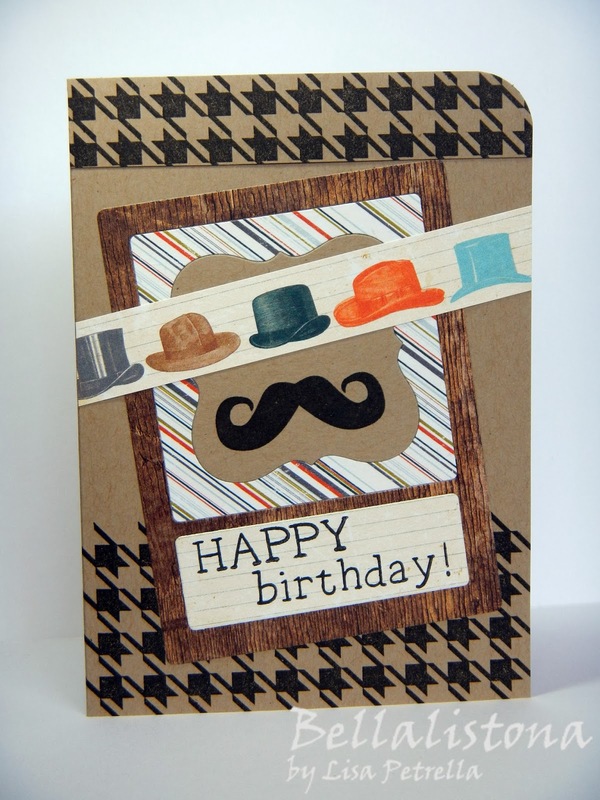 I thought the mustache image paired up nicely with these patterned papers from the Swagger Collection by Fancy Pants and the houndstooth background stamp from DeNami Design. Hope you're having a good week! Thanks for stopping by! what a super fun card.. I love those hats.. great card..
Oh what a fabulous masculine card, Lisa! Bet he loves it!